Home Frugality What is The Difference Between Rich and Poor? Have you ever been poor? We are not talking about not being able to fill your tank one week. Rather, we are talking about choosing whether or not you can make your gas stretch so you can eat that week. That is a loose definition of what is like to be poor on a day-to-day basis. This raises the question, what is the difference between rich and poor? Of course, you have the obvious reason, one person has an abundance of money and another does not. One difference that seems to be overlooked, is the psychological difference between the two classes. No matter your economic beliefs, money does three things; gives you more options, changes your public perception, and changes you. Money is a catalyst that transforms people for the good or the worst. What if you could change places with a poor person for a day? Over the years, Eddie Murphy has starred in a handful of great movies, one of his best is Trading Places. The general plot of the movie involves Murphy’s character, a poor scam artist, switch places with Dan Aykroyd, an affluent businessman working the stock market. The premise of the switch was based on a wager made by Aykroyd’s bosses. While the movie does a great job of telling a story, it showcases the difference between rich and poor. Once in their new lifestyle, both men changed the way they viewed the world and how they interacted with it. When Valentine, Murphy’s character, first met the Dukes he tried to steal some knick-knacks from their car. During the first day at the office, Murphy, thinking his new life could be taken away, tried to steal office stationery. While it is a funny scene, it shows the way the mind works after years of not having anything. Some, not all, poor people are skeptical of being given thing without having to do anything in return. People in poorer neighborhoods tend to develop a barter system when money is low. Say you have a neighbor for a plumber and you need a pipe fixed, but cash is low this month. You cannot afford to pay them this month, however, you can mow their lawn. Give and take. Bartering is integral to survival in poorer neighborhoods. Thriftiness and frugality are subjective to rich people. The movie does a great job showing the culture shift after the two men switch lives. One of the best examples was their clothes and living arrangements. Murphy went from almost spending the night in jail wearing old ratty clothes to fine linens and an apartment. Aykroyd later had to pawn his expensive watch to have money to survive. In lieu of buying his regular clothes, Aykroyd had to settle for a cheaper wardrobe. Sure, the poor tend to look for cheaper alternatives to items, but the rich do it just as much, more even in certain circumstances. In an article published by Business Insider, Daniel Ally breaks down the top 10 differences between the rich and poor. While some of the points Ally made were plausible there were a few that seemed a little off. His fifth point states poor people usually want the cheapest way possible. If that were true why is it that many rich people often wear “normal” clothes? Of course, there are people that do enjoy splurging on luxury items. However, if you were to ask someone that provides a service most of the time people that have money do not want to spend it. As someone who worked for a moving company, this writer can tell you from first-hand experience, the rich do not tip…for the most part. As mentioned in previous lines some are willing to spend or tip extra when they need to. The poor are generally less generous. Clothes and “things” are not the only difference between rich and poor. Poor people have the stigma of being territorial over their goods and belongings. Contrary to popular belief, the poor are extremely generous. How many times have you watched that story of the homeless person that was willing to give some of their food or belongings to someone else? As humans, self-preservation is a priority of everyday life. Something in us, however, tells us we need to help our fellow person. In Trading Places, Louis, Aykroyd’s character, needs a somewhere to stay, so Ophelia, played by Jamie Lee Curtis, takes him in. Even though they had met briefly while she was trying to sell the con, she took him in. Even after she had been paid for the switch earlier. She did not live in a nice building and she could only offer him the little she had, but she offered it. 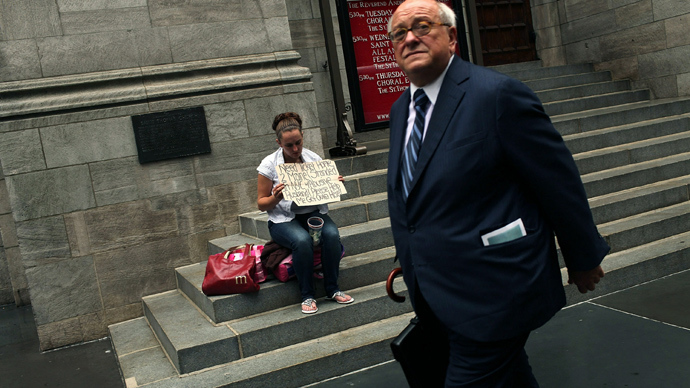 Adversely, the rich tend to share their generosity on a grander scale. Most of the time it comes in the form of a charity or fundraiser for their city. Bill Gates, for example, he uses his wealth and status for his foundation to improve the lives of people around the world. What makes the human race unique are the differences that everyone has. We all have little nuances and caveats that define who we are. Is there a difference between rich and poor? Yes, but it moves past just monetary status. The way each of the men figures out solutions to their problems is a big one. In the end, though, if you were to strip the rich of their wealth and give it to a poor person you would find they are similar in many ways. © 2012 to 4108 Critical Financial. All rights reserved.